This entry was posted in Mental Health and tagged Adolescents, Managing Symptoms, Signs and Symptoms, Treatment on July 27, 2016 by Jacquelyn Ekern, MS, LPC. 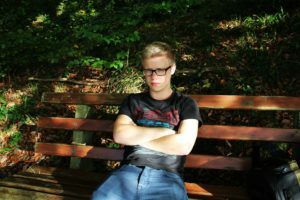 Any emotional and behavioral disorders that develop in boys, whether in early childhood, adolescence or as a teenager, can be difficult for the entire family to endure and manage, regardless of the age of the child. Many young boys who present a behavioral issue may exhibit symptoms that cause the child to be mislabeled by the professionals who interact with them, particularly if the behavioral issues are misdiagnosed or not understood. For example, a child can be labeled as “problematic” or “disruptive” in school, and this can be particularly challenging to work through, especially if a behavioral or emotional disorder is not formally diagnosed or recognized. This can also create challenging circumstances for the child, impacting his ability to have positive social interactions with peers, make friends, feel successful in school, and more. Emotional and behavioral disorders are issues that impact children on a global level. The National Institute of Mental Health has estimated that approximately 10 to 15 percent of children are affected by an emotional or behavioral disorder worldwide, and researchers have identified this can begin in early childhood . 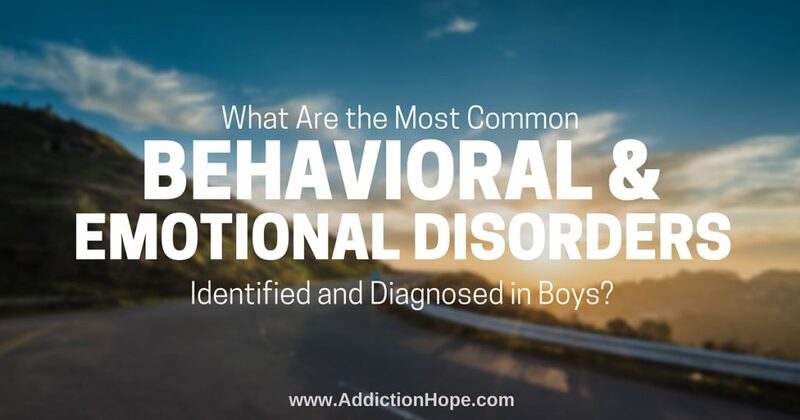 This is the most common behavioral disorder diagnosed among children, with a rate of two to three more boys being affected by this disorder for every girl that is diagnosed with it . Many boys affected by ADHD typically exhibit behavioral characteristics such as restlessness, an inability to concentrate, limited awareness of surroundings, and more. This behavioral disorder is also more commonly diagnosed in boys rather than girls. Children with autism can have varying degrees of symptoms, depending on the severity of the disorder, and can exhibit behaviors such as language delays, inability to form emotional connections with others, and more. This can include a range of disorders, such as specific phobias/fears, panic disorders, social anxiety, and obsessive-compulsive disorders. Children that struggle with any form of an anxiety disorder may be easily frightened, constantly feel distressed or appear uneasy in social situations. This behavioral and mental disorder is characterized by extreme mood swings, ranging from an excessive “high” to a depressive or sad state. This disorder can begin in childhood and continue on through adulthood and may be misdiagnosed as ADHD. 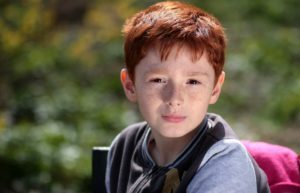 Because emotional and behavioral disorders in boys develop as a result of many complex factors, seeking out comprehensive and professional care is the most effective method of treatment. Early interventions also help increase the efficacy of treatment, as do individualizing treatment approaches to meet the unique needs of the child and family. Mental health professionals – including psychiatrists and behavioral therapists who specialize in these pediatric disorders – are essential members to the development of a treatment plan that best fits a child’s individual needs. Comprehensive programs for treating behavioral and emotional disorders in boys should be customized to the child’s needs and based on the severity of the disorder and associated symptoms. These modalities help improve the child’s overall quality of life while minimizing negative behaviors associated with these disorders. : “Attention-Deficit/Hyperactivity Disorder (ADHD)”, Center for Disease Control and Prevention, http://www.cdc.gov/ncbddd/adhd/conditions.html Accessed 5 March 2016.